Three of my favorite grimpeurs from the 1983 Giro. 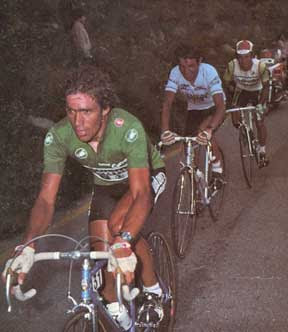 (left to right): Lucien Van Impe(green KOM jersey) was chased for the Mountain Classification from Alberto 'the biscuit' Fernandez and Mario Beccia. His name was Alberto Fernandez. Nicknamed, 'el Galleta...the Biscuit.' He was from Aguilar de Campoo, Spain where it's well known for their biscuit factories. I love the nickname. Twenty five years ago, in 1983, he rode for the understated Gemaez Cusin Zor Rossin team and perhaps had his finest season. Did he ever ride the Tour? Yes, in 1982 for the Teka team, riding to a fine 10th overall. The Biscuit was a capable all rounder and like many of his countryman was pretty good when the roads turned upwards. 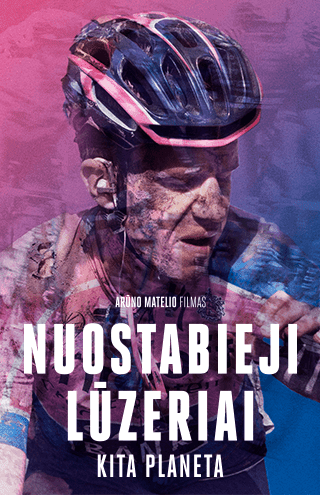 In 1976, as an amateur he won the Spanish Mountain bike Championships. 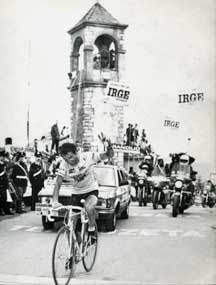 In the 1983 Giro he bounced back with two stage victories(6 & 17) with a podium finish of third overall. 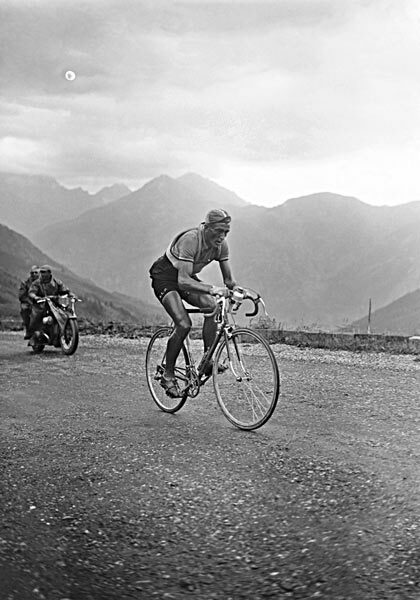 He came in second place in the KOM competition duking it out with the great climber, Lucien Van Impe. It just kept getting better, the Gemeaz team won the overall team classification. An utterly fantastic Giro performance for the young Spaniard. 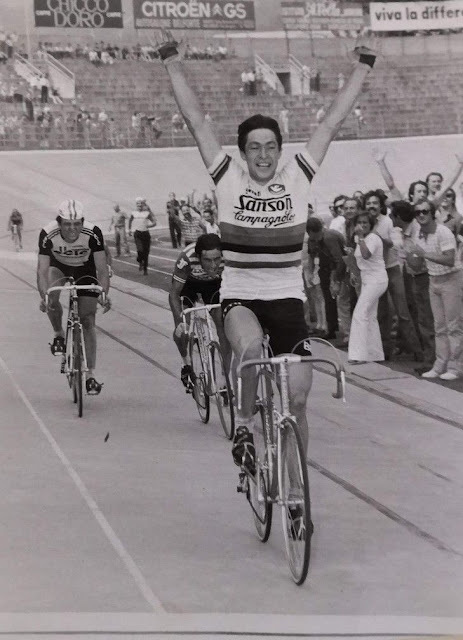 Afterwards, a strong 3rd overall with a stage win in the Vuelta and a 19th in the Super Prestige Pernod would cap off a successful 1983 season. He looked forward to 1984 hinting to improve upon his promising 1983 season. He was getting ever closer with a superb 2nd overall in the Vuelta d'Espagne. The season looked hopeful. But, tragedy struck and on December 14th he and his wife were killed in an automobile accident. Alberto Fernandez, who was a rising cycling talent, was cut short in his prime. He was 29 years young! Fernandez flashes two fingers for his second stage win! (Inset image): His fateful last season in 1984.